My Owl Barn: Orla Kiely's "Big Owl"
If you remember the Orla Kiely's "Little Owl" post that I did a couple of weeks ago then you would remember that I mentioned that I would be back with their other fun collection called "Big Owl". 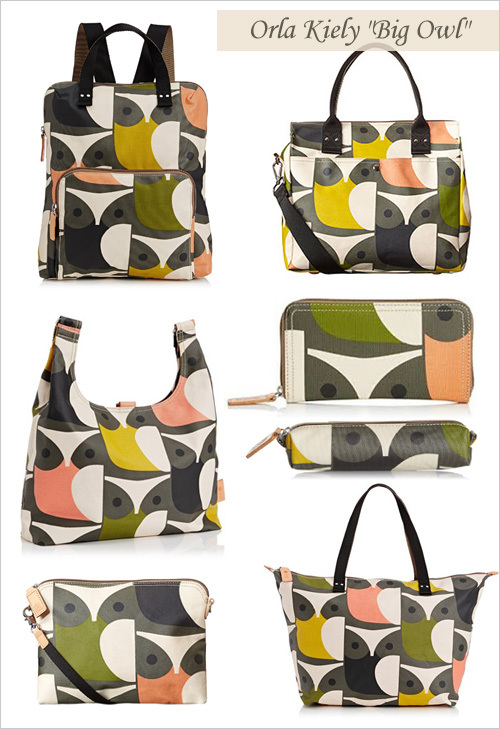 The bags from the collection are covered in Orla's signature owl motif in large size in green, grey, pink and yellow. The range offers pencil case, wallet, pouch, shoulder bag, backpack etc. with the beautiful orange linear stem jacquard lining on the inside. You can find all the bags from this collection and order them online from here.